For the most part, the #24 Louisville Cardinals (29-14, 10-11) took advantage of a week in which they took a break from their difficult ACC schedule. 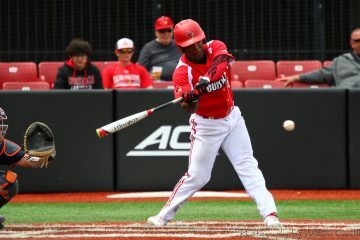 They opened up the week by completing the two game season sweep against the Western Kentucky Hilltoppers (20-23), then followed that act up with a series win over Indiana State (21-19), and were just 1 inning away from a sweep of the Sycamores. At this point in the season, there is one certain thing you will get out of the Louisville Cardinals and that is consistent starting pitching. It has been a month since Coach Mac permanently set his starting rotation, and ever since they have failed to disappoint. Adam Wolf is still as strong as ever, Nick Bennett has returned to his All-American form, and Bobby Miller tossed another 8 inning gem. Other aspects of the Cardinal Nine are still up in the air. As of late, they have found themselves in a bit of an offensive lull, scoring 3 or less runs in 3 of their last 5 games. Outside of offensive consistency from Danny Oriente, Logan Wyatt and Josh Stowers as of late, you’re not sure what you’re gonna get from the rest of the lineup. In the ISU series, the bullpen also found themselves blowing two leads with one resulting in a loss, yet closing the door on another. Defensively, they played clean baseball with no errors in the first two games of the series and only 1 against WKU, yet 3 in the ISU series finale. Essentially, outside of the starting pitching, you kind of have to roll the dice to figure out what you’re gonna get out of this team. If they want to make any sort of deep postseason run, they’re going to need some all around consistency. 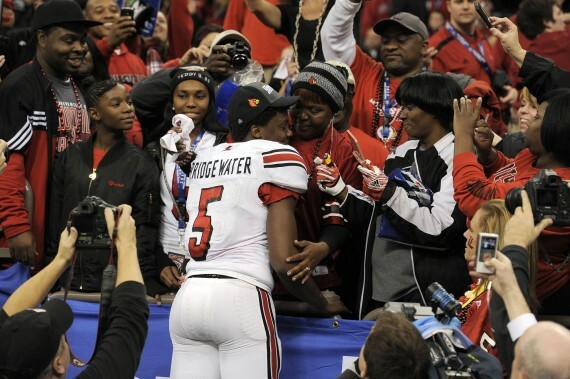 Coming up this week, Louisville gets back to the grind and faces yet another marquee opponent and more ACC competition. They’ll travel down to Nashville for the midweek game to take on the #17 Vanderbilt Commodores (25-18) in their Battle for the Barrel rivalry, then head up to Boston for the weekend to take on the Boston College Eagles (15-28, 6-18). All Louisville Baseball games are ticketed entry this season for the very first time, and can be purchased through Ticketmaster here. Berm seating is $5 with reserved chair back seating costing $10. The midweek game will be featured on SEC Network+, and all the weekend games will be featured on ACC Network Extra. The walk-off win in game 1 was Louisville’s first walk-off since March 4th against Western Carolina. Sophomore first baseman Logan Wyatt’s 5 RBIs in game 2 matched a career high. Sophomores Tyler Fitzgerald and Danny Oriente both had career long hitting streaks snapped at 14 games. Fitzgerald’s in game 1 and Oriente’s in game 2 of the Indiana State series. All three games of the ISU series featured a starting Cardinal pitcher going at least 6.0 innings. As of the ISU series, junior outfielder Josh Stowers extended his on-base streak to 26 games. 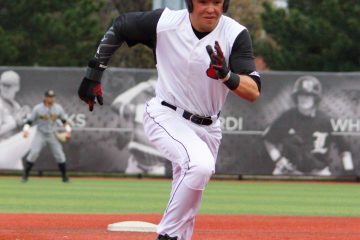 Louisville ranks #7 in stolen bases with 89. Devin Mann & Logan Wyatt rank 4th and 8th in the nation and 1st and 2nd in the ACC respectively in walks. Logan Wyatt ranks #1 in the ACC in doubles and on base percentage. Josh Stowers ranks #9 in the nation and #2 in the ACC in stolen bases with 25. According to NCAA metrics, Danny Oriente is the 6th toughest to strikeout in the ACC. Louisville will be on the road all week, starting in Nashville for the midweek game before heading up to the Boston area for the weekend. Traditional baseball powerhouse Vanderbilt has found themselves in a bit of a similar situation as Louisville. They are experiencing a bit of a down year with only two starting position players batting over .300 and a large collection of starting and relief pitchers with ERAs in the 3-4 range. 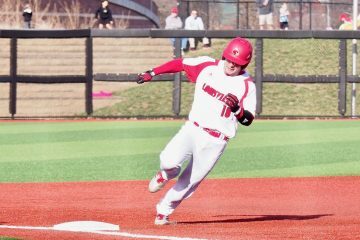 While it is unknown at this point who will be starting in the midweek game against the Commodores, Louisville will still have to keep tabs on Pat DeMarco. The freshman outfielder leads Vanderbilt in home runs (6), RBIs (28), total bases (81) and slugging percentage (.485). If Louisville can make sure there are no runners on base when DeMarco will inevitably get his, they will be in great shape to win the game. The ACC this season is full of CWS contenders like NC State, Clemson, Florida State and UNC. And then there’s Boston College. Quite simply, in terms of the rest of the ACC, this is not a good baseball team. They hold the worst overall and conference record in all of the league, and have anemic offensive numbers. Their saving grace is their ability to strike batters at a high rate, but that’s it. If Louisville can go on the road and sweep Virginia Tech, then I see no reason why Louisville can’t do the same against Boston College. For the upcoming week, I predict that the Cardinal Nine will get their 5th straight win in Nashville, then head up to Boston and sweep the Eagles.